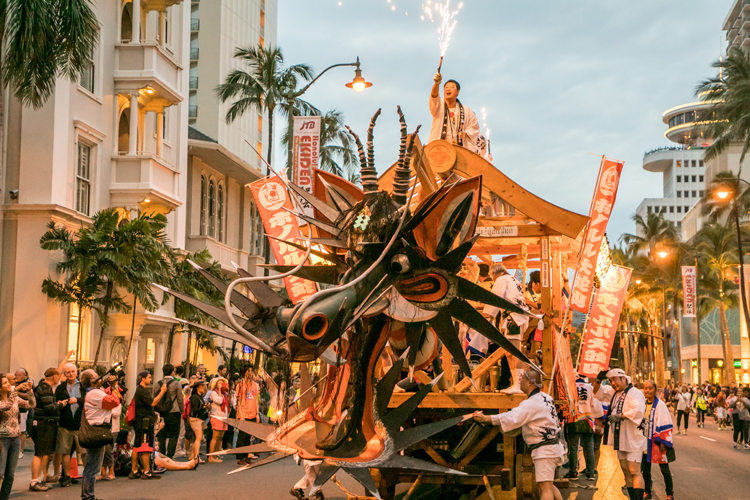 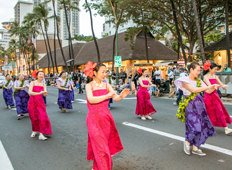 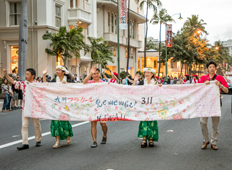 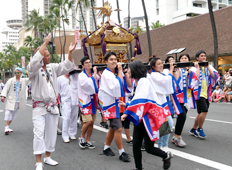 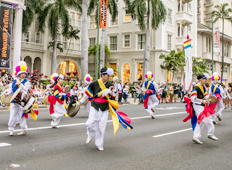 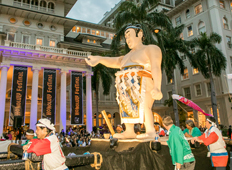 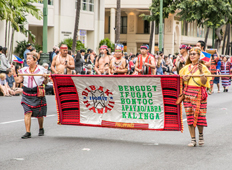 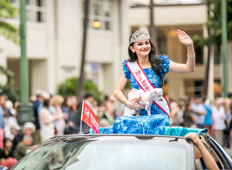 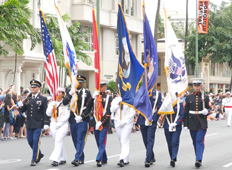 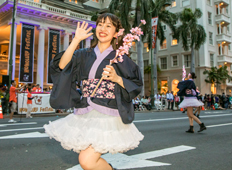 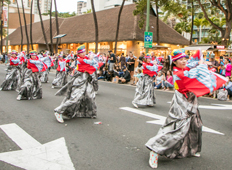 The Grand Parade, one of the Honolulu Festival’s main events, took place in the evening of the final day to conclude the three day festivities. 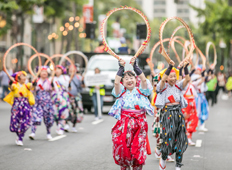 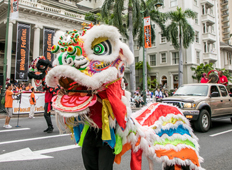 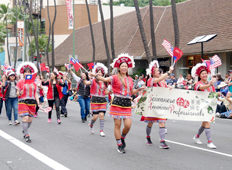 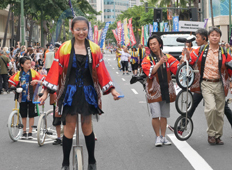 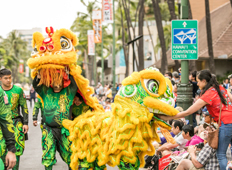 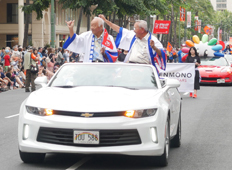 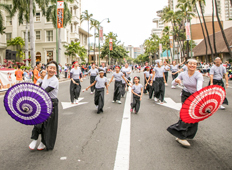 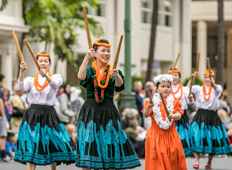 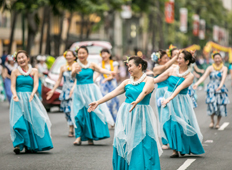 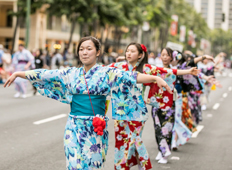 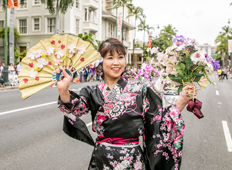 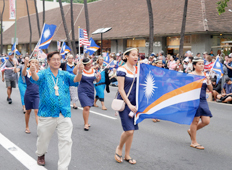 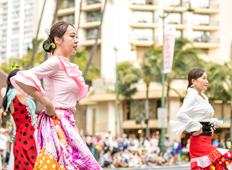 The parade features a wide variety of traditional dance and performances, an opportune moment for people to see the diverse cultural expressions by the participating teams from Hawaii, Japan, and the Pacific Rim countries. 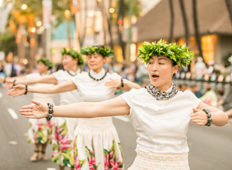 Kalakaua Avenue, Waikiki’s main street, became the center stage for this spectacular show. 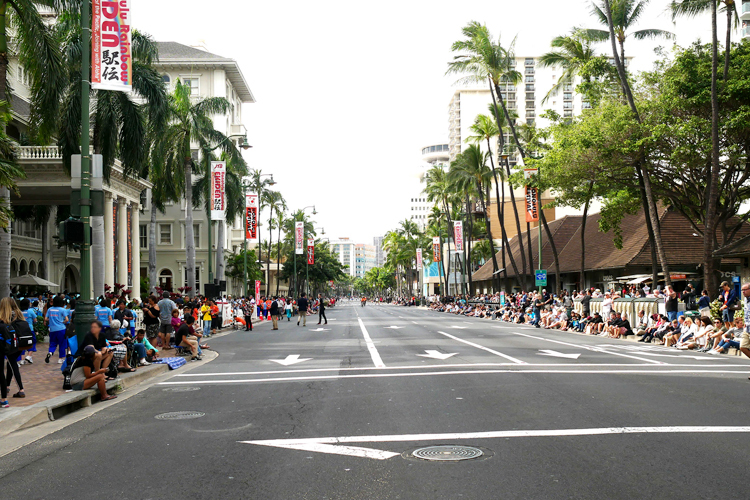 Crowds gathered on Kalakaua Avenue, waiting for the parade to start. 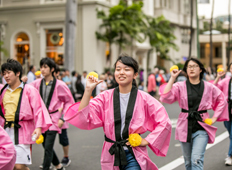 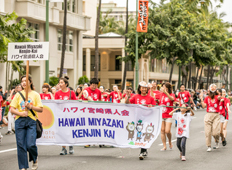 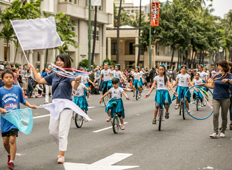 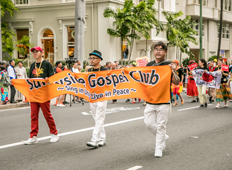 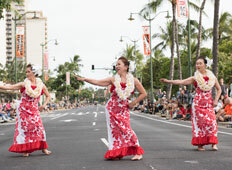 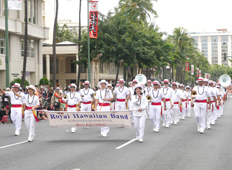 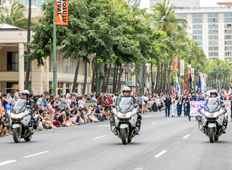 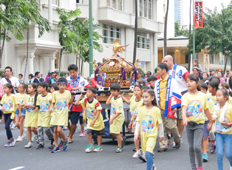 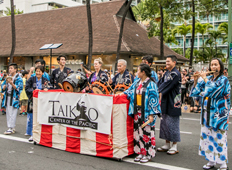 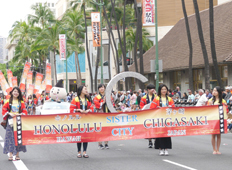 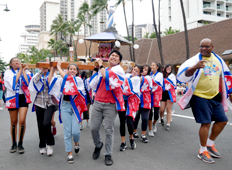 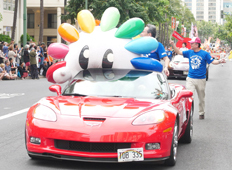 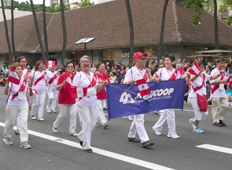 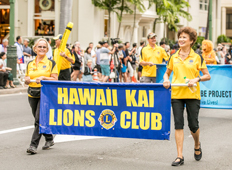 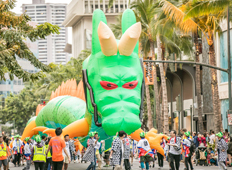 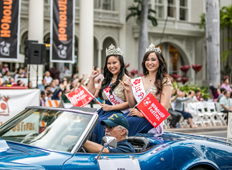 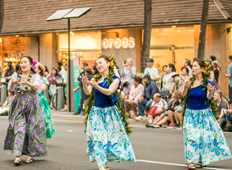 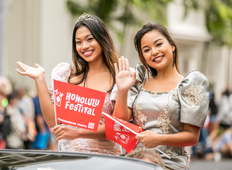 Participating teams began their performances during the 0.8 mile parade, starting Saratoga Road, located at the west end of Waikiki, and ending at the Waikiki Zoo in the east end. 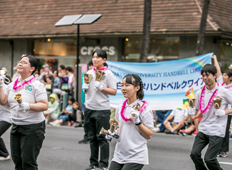 It was the big finale moment for the participating teams that had already been performing on the stages and booths during this year’s festival. 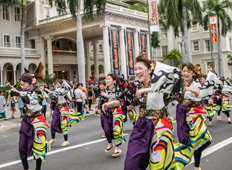 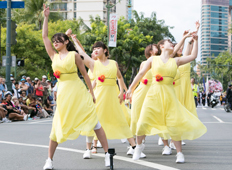 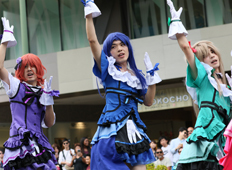 At four p.m., different groups began their performances in front of four MC booths on Kalakaua Avenue. 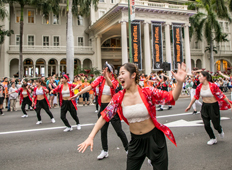 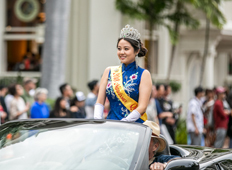 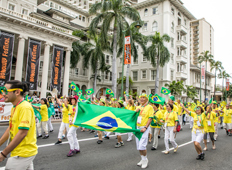 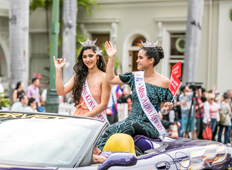 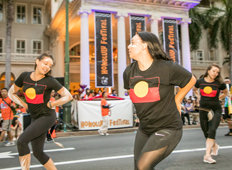 When the performances began at four locations on Kalakaua Avenue, applause and cheering broke out among the highly anticipating spectators on both sides of the street. 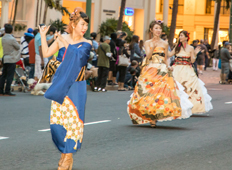 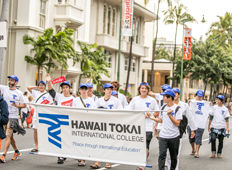 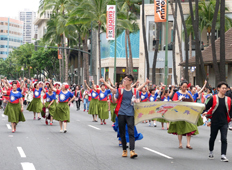 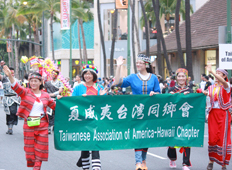 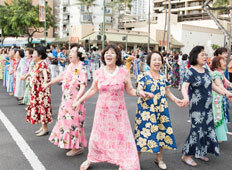 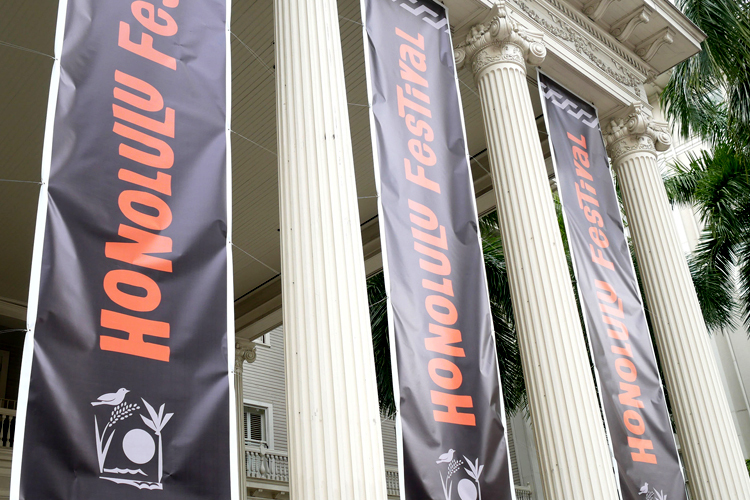 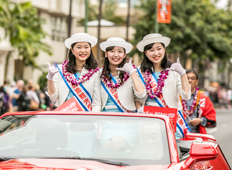 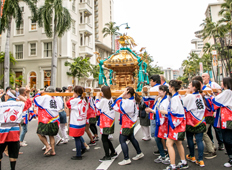 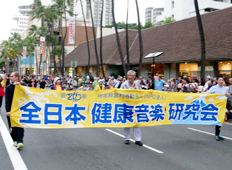 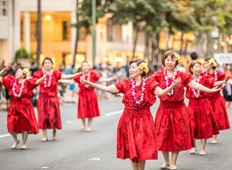 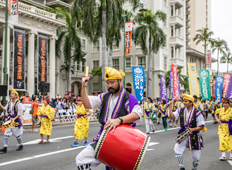 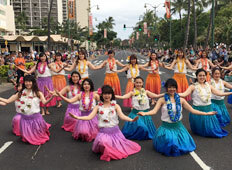 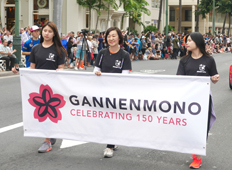 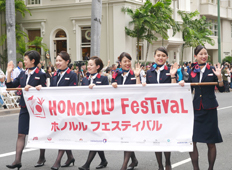 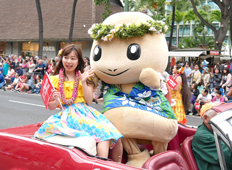 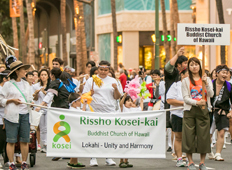 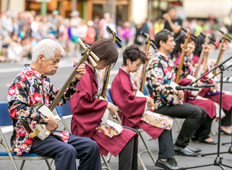 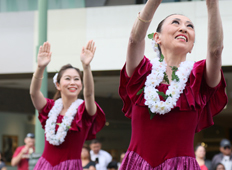 This year, 66 groups participated in the Honolulu Festival. 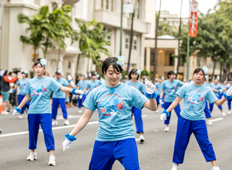 Performing live in the parade was the highlight for the groups that have been performing on stages and booths during the three day festival. 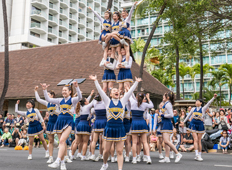 Well-rehearsed teamwork effort was clearly demonstrated in the beautifully in sync performances. 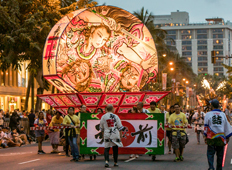 When the sun set and darkness filled the air, the festival climaxed with the appearance of Honolulu Daijayama. 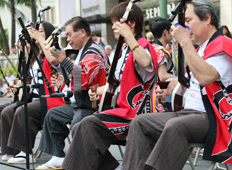 It was met with spectators’ applause and cheers. 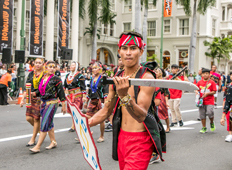 A wide variety of traditions and cultural expressions are respected in the land of Hawaii, promoting peace to permeate our society today. 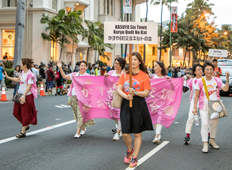 “Searching for peaceful living through cultural exchanges among different ethnic groups” is our hope that the wave of exchanges among various ethnic groups and generations will continue in Japan, Hawaii, and the Pacific Rim countries and furthermore, that the friendly relationships among nations will contribute to world peace.